With this Ethernet Shield, your Arduino board can be used to connect to internet. Can be used as server or client. Directly plug puzzle board, no soldering required. 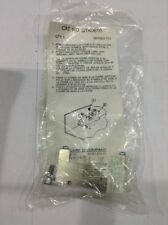 Controller: W5100. This is the latest version of the Ethernet Shield. This Arduino Ethernet Shield which is based on the Wiznet W5100 Ethernet Chip gives you an easy way to get your Arduino Online. It is directly supported by Arduino official Ethernet Library. It adds a micro-SD card slot, which can be used to store files for serving over the network. It is compatible with the Arduino Duemilanove (168 or 328), Uno as well as Mega (1280/2560) and can be accessed using the SD library. The Wiznet W5100 provides a network (IP) stack capable of both TCP and UDP. It supports up to four simultaneous socket connections. Use the Ethern. Material: Plastic. 9.6 5.6 2.3cm/3.78 2.20 0.91" (L W H). 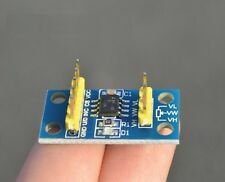 1 x PCA9685 16 Channel 12-bit PWM Servo motor Driver I2C Module For Arduino Robot. You want to make a robot, When we saw this chip, we quickly realized what an excellent add-on this would be. Resolution: 12 bit. The thermal conductivity of aluminum alloy is about 50-60% of copper. Arbitrary length, open hole, processing technology. Material: Aluminum. High recovery, good shielding, corrosion resistance, beautiful appearance. 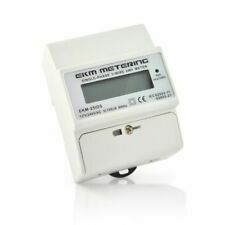 Features: 100% brand new and high quality Durable and practical Great for electronic projects, power supply units, student projects, amplifiers, etc. 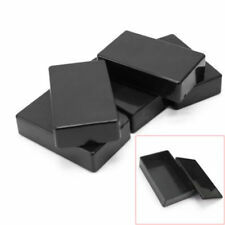 Specifications: Material: Plastic Color: Black Outer dimension: Approx.10*6*2.5cm/3.94*2.36*0.98" (L *W *H) Inner dimension: Approx. 9.6*5.6*2.3cm/3.78*2.20*0. Waterproof and dustproof IP68 junction box. 1 x Electrical Junction Box. 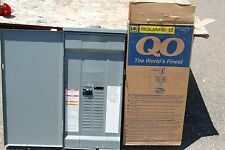 Suitable for fast connection to the outdoor lighting, and external wiring. Has connector blocks inside. Adapter Cable: 4-9mm or 9-15mm. Product Name : Junction Box;Mounted Type : Surface MountedExternal Size : 170 x 130 x 80mm/6.7" x 5.1" x 3.1"(L*W*H);Internal Size : 160 x 120 x 70mm/ 6.3" x 4.7" x 2.7"(L*W*H)Material : Metal, Plastic;Color : Blue, WhiteNet Weight : 460gFeatures: Surface Mounted, underground electrical enclosure switch Junction box. Certain modification can be done according to your requirments; such as drilling, painting, punching, silk-screen printing and etc. Widely use in electronic project, protect power from water, touching accidentally. We sell different size junction box at the same time.Package : 1 x Junction BoxNote: Light shooting and different displays may cause the color of the item in the picture a little different from the real thing. The measurement allowed e.
Material: Aluminium. 1 x Guitar Effects Aluminium Box. Note: Light shooting and different displays may cause the color of the item in the picture a little different from the real thing. The finish is clean and smooth. Output current: chip nominal 500MA. Module size: 11 24MM. Specification: Brand new Material: plastic Main color: gray, clear Size: approx.158*90*60mm (L*W*H) Built-in hole hold circuit board. Waterproof and damp-proof performance. Durable and practical. Good for electronic projects, power supply units, student projects, amplifiers, etc., thanks for its heat nature, electromagnetic field protection and robust construction. Package included: 1 x electronic project box (include 4pcs screws and 1pc sealed wire) Note:. 1x 63 58 35 mm Waterproof Cover Plastic Electronic Project Box Enclosure case. Excellent waterproof performance. Built-in hole hold circuit board. Due to the light and screen difference, the item's color may be slightly different from the pictures. Durable and practical.Surface Mounted, plastic electrical enclosure Junction box. Material: Plastic. We will try our best to reduce the risk of the custom duties. Size：250 x 190 x 110mm(L W H). -Surface Mounted, underground electrical enclosure switch Junction box. Color：Blue. Detail Image. This is a serial RS232 to Ethernet server, used for data transparent transmission. USR-TCP232-302 is internally integrated with TCP/IP protocol. User can apply it to device networking communication. Material: extruded aluminum. Heavy gauge extruded aluminum construction. Detail Image. Color: black. 2pcs x front panels. 2pcs x back panels. Corrosion resistant, lightweight. Outside Size: 195 x 175 x 70mm / 19.5cm x 17.5cm x 7cm (L W H). Inner Size: 192 x 155 x 60mm / 19.2cm x 15.5cm x 6cm (I W x H). 1x 1590B Style Effects Pedal Aluminum Stomp Box. Material: Aluminium. Split Body Aluminum Box Enclosure Case Project Electronic DIY 120×97×40mm. 1pc Clear Waterproof Enclosure Case Cover Plastic Box 158mmx90mmx60mm. 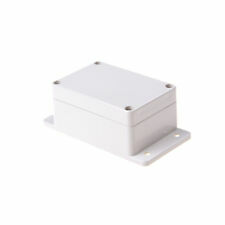 Full Aluminum Electronic Enclosure Project Box Case DIY 2U 87 x 178 x 203 mm. External: (2U) or Height 87 x Deep 178 x Width 203 mm. (SACN2.0D1W1) Full set Hi-Grade Aluminum Project Enclosure Case Electronic Box. Whether you need a top quality enclosure for your project or production line test fixture, our SA enclosures provide the perfect solution. It is a total of four slots, can drive four A4988 stepper motor. In other words, six IO ports can be well managed three stepper motors. Very convenient to use. Note: When inserting the A4988 module, must be careful not to insert opposite. CP2112 Evaluation kit for the CCS811 Debug board. USB to I2C bridge board. Direct connection to PC via USB or direct connection to host system via I2C. You may expect to receive a response to your inquiry within 24 hours. Mini 3.5mm Wireless Bluetooth Car Kit Hands Jack AUX Audio Receiver Adapter. 1 x Aluminum Case. - Material : Aluminum. - Surface sandblasting, brushed processing. - Color : Black. We will response in 24 hours to resolve the problems. Product Name : Junction Box Mounted Type : Surface Mounted Total Size : 100 x 68 x 50mm/3.9"x 2.7"x 2""(L*W*H) Internal Size : 90 x 60 x 45mm/ 3.5"x 2.4"x 1.8""(L*W*H) Material : Plastic Color : Light Gray, Clear Net Weight : 104g Package : 1 x Junction Box Brand Unbranded MPN Does not apply UPC 4894462419915 EAN 4894462419915 ISBN 4894462419915. The network interface board HR911105A. the board 25MHZ crystal. We will leave it for everyone that leaves it for us. 1 x Electronic Project Case. With good sealing performance, waterproof, dustproof, anti-corrosion. Material: plastic. Detail Image. Trending at C $2.82eBay determines this price through a machine-learned model of the product's sale prices within the last 90 days. 1x Plastic shell(with mounting screws). Screw size:M3/M4. Electronic plastic appearance, the effective protection of electronic components is not. exposed, with a handle. Used in electronics, electrical appliances, electrical, chemical. 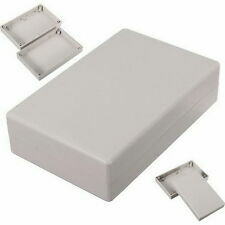 Durable and practical.Surface Mounted, plastic electrical enclosure Junction box. Material: Plastic. Color: Black. We will try our best to reduce the risk of the custom duties. 1PCS NEW ENC28J60 Ethernet LAN / Network Module For 51 AVR STM32 LPC. The network interface board HR911105A. Net weight:15 g. The board 25MHZ crystal. 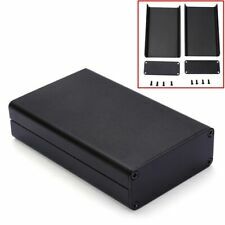 Waterproof Box 3.94" x 2.68" x 1.97" Plastic Electronic Project Enclosure Case. 1 X Waterproof Plastic Project Box. We believe that everything could be solved by communication. Also note that monitor settings may vary from computer to computer and may distort actual colors. Size： 100x68x50mm. 1 x Enclosure Project Box. Waterproof, damp-proof. Detail Image. This box is resistant against dust and water, the protection grade is IP65. IP Grade: IP65. 1 x Junction Box with Accessories. Yard, Garden & Outdoor Living. Healthcare, Lab & Life Science. PC & Network Accessories. Surface on waterproof sealed plastic electrical enclosure change junction box. Net weight: 44g. 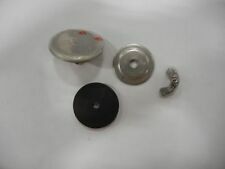 Product parts: shell, front baffle, rear baffle 8 screws. Product material: 6063-T5 aluminum alloy. Product specification: split type. Length Customization. ProtoShield Extension Board. ProtoShield prototype extension board and two buttons with two LED circuits can be used directly. The item is as the picture d iscri bled. Contain Mini Bread board. 1 x Project Box. Material: plastic. Detail Image. Easy to install. Heavy gauge extruded plastic construction Built-in hole hold circuit board Excellent waterproof performance Good for electronic projects, power supply units,student projects, amplifiers, etc. Material: Plastic Dimensions (outer L*W*H):85x58x33mm/3.35"2.28"x1. 1 set x Extruded Aluminum Case (1pc shell, 2pcs panels, 8pcs screws). Size: approx.50 25 25mm. Material: aluminum. Detail Image. Color: black. Material: aluminum. 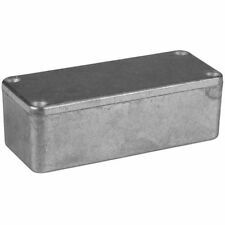 1 x aluminum box with screws. Color: gold. Surface sandblasting, brushed processing. Detail Image. ZYPDS ultra-mini single function manual You can set the maximum trigger 15V or 20V logic, use a drop of solder to connect the yellow circle and the halves of the pad to set 20V, not 15V. 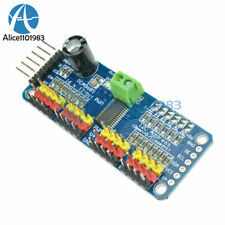 For example, if 15v is set and the adapter supports 5 9 20V, it will trigger 9V.